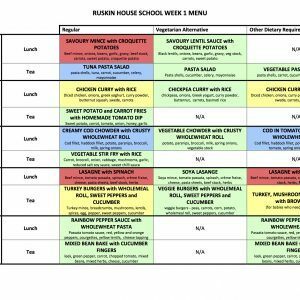 Ruskin House School ensures that all food and drink provided for the children, staff and visitors is homemade, using good quality ingredients. Meals and snacks are planned according to national guidelines for food and drink in early years settings and yearly reviewed. 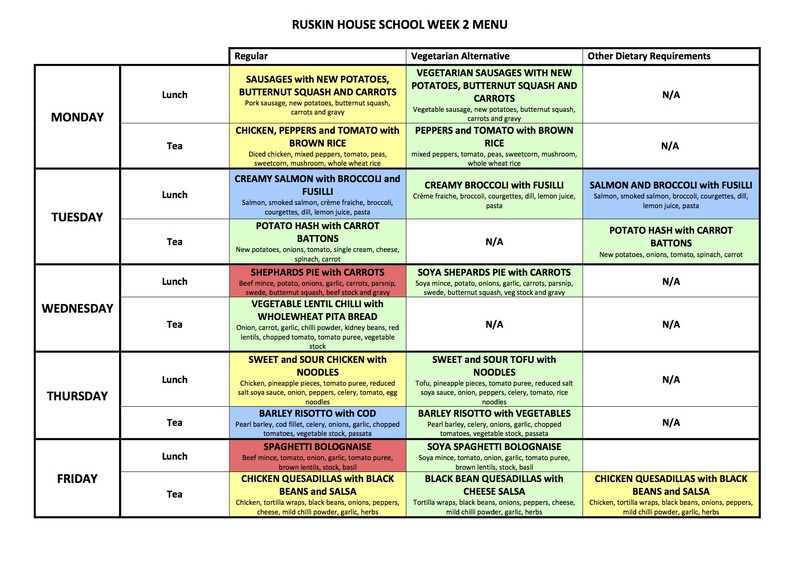 Our menus are planned after consulting with nursery staff and cooks. Menus are reviewed yearly and take into account seasonal fruit and vegetables where ever possible. 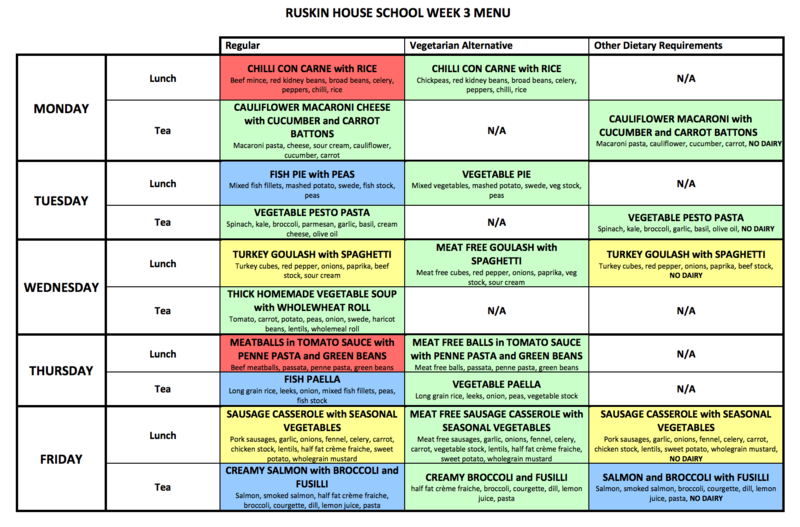 All meals, drinks and snacks are provided for the children throughout the day therefore we do not accept any food or drink items brought in from home except for breast milk or follow on formula milks including birthday cake (RHS do not provide). Any of these items brought in from home must be clearly labelled with the child’s name and a list of the contents/ingredients. All food handlers hold a level 2 certificate in food safety which is refreshed every 3 years in line with best practice guidelines. 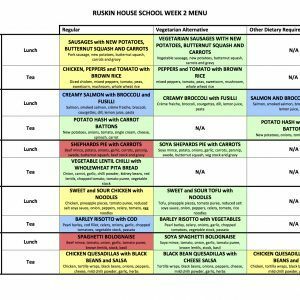 At RHS we encourage children to recognise healthy choices, and the importance of a healthy diet and lifestyle is embedded in every day practice. Drinks of water are readily available to all children throughout the day. 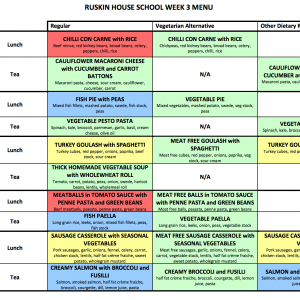 All meals are prepared and cooked fresh in the kitchen at Ruskin House. We cater for all dietary requirements, preferences and allergies. Fresh fruit and organic snacks are provided throughout the day. All are served with fresh milk. 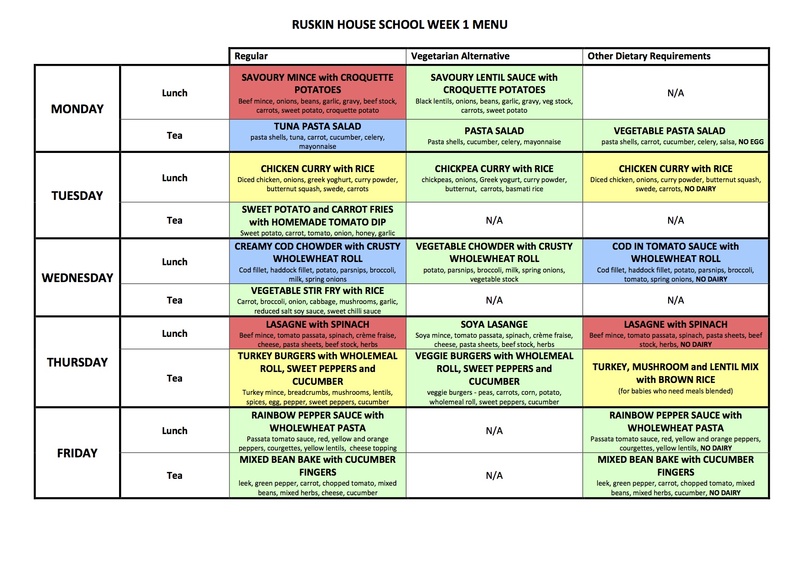 Menus are on a 3 week rotation, please click below to view weekly menus.